Extreme and populist right-wing parties have always been the biggest political beneficiaries of financial crises, according to a new study. EURACTIV Germany reports. The French National Front, the Alternative for Germany (AFD) party and Greece’s Golden Dawn, among others, all surged in the polls as a result of the global financial crisis, with many of them achieving significant gains at the last elections. New research by the Munich-based IFO Institute for Economic Research shows that this is no coincidence, in a study looking as far back as 1870, in more than 20 countries, and across 800 elections. The most prominent beneficiaries of the financial crises of the 1920s and 1930s were the right-wing parties of Italy and Germany. Other countries also saw the emergence of extremist parties, such as the Rexist party in Belgium, the Falange in Spain, and the Patriotic People’s Movement in Finland. Similar trends have been observed after the 2007-2008 crisis. The Sweden Democrats took 5.7% of the vote in 2010, up from 2.9% in 2006.The Dutch Party for Freedom (PVV) similarly increased from 5.9% to 15.5% in 2010, and the National Front, in France, increased its share of the vote by 10% in 2011. 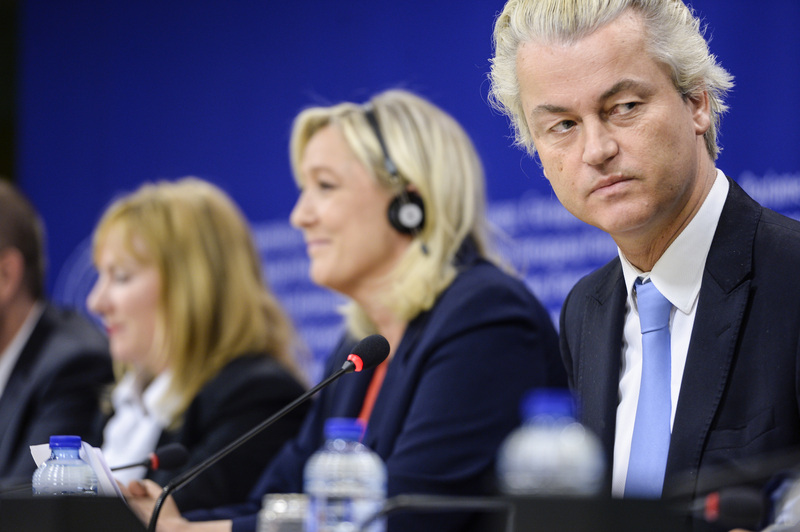 Right-wing parties have also been active in the European Parliamentary elections, with the UK Independence Party (UKIP), AFD and the Danish People’s Party all drawing more support. More localised, regional financial crises also confirmed the findings of the IFO. During the Scandinavian banking crisis of the late 1980s the Norwegian Progress Party saw support increase from 3.7% to 13%. Its Danish equivalent also saw its share of the vote double. Financial crises have further implications for democratic systems. After a crisis, governments typically tend to lose more than 4% at the following election. On the ground, battle lines harden, anti-government demonstrations increase and violent clashes become more prevalent, making political action all the more difficult. The main problem: a government’s power base shrinks, and alleviating the crisis becomes an ever larger task, creating a vicious cycle in the process. What of the left side of the spectrum? The recent rise of the Syriza party in Greece is, according to the study, only an exception to the rule. Left-wing parties, generally, won no extra votes in post-crises elections. The IFO study found that the after-effects of financial crises on right-wing politics typically lasts a decade. After this period of time has elapsed, voter behaviour returns to how it was before the crisis in question. “The good news: The political upheaval in the wake of financial crises is merely a temporary phenomenon,” the study found. However, the effect was also found to be particularly strong after recessions. After crises of a different nature, the shift to the right, and political fragmentation, was observed to be far less pronounced. The authors of the study conclude that “regulators and central bankers have a great responsibility in terms of the political stability of a country. Preventing financial crises also reduces the likelihood of political disaster”. IFO-Study – Funke, Manuel, Moritz Schularick and Christoph Trebesch: "Going to Extremes: Politics after Financial Crisis, 1870-2014"